A native of Manhattan Beach, CA, Mr. Mansker began his performing career at age 11, in the role of Bilbo Baggins in the musical version of The Hobbit. Tony had the great blessing of training with some of Southern California's best performing arts instructors, most notably Lisa Diaz of Legacy Dance Studio, Lisa Semko of Lisa Semko Vocal Studio, Alex H. Urban-founder and Artistic Director of MET2, and the incomparable Paula Morgan. Tony continued his training and moved to New York at age the age of 17 to attend New York University's Tisch School for the Arts where he earned his Bachelor of Fine Arts in Theatre. Performing credits include over twelve hundred performances of Disney and Cameron Mactintosh's smash hit MARY POPPINS. An original cast member, he also had the pleasure of tap dancing across the ceiling as Bert on numerous occasions. In 2009, Tony shared the stage with the legendary Maurice Hines in Arena Stage’s record breaking production of SOPHISTICATED LADIES. Previous performance credits include WEST SIDE STORY ( US and International Tours), CABARET (Emcee), THE WIZARD OF OZ (Tinman), FIDDLER ON THE ROOF (Motel) THE RADIO CITY CHRISTMAS SPECTACULAR, 42nd STREET (Andy Lee), SINGIN' IN THE RAIN (Cosmo). TV credits include The 61st Annual TONY Awards, The View, Good Morning America, Inside Amy Schumer, The Walt Disney World Christmas Day Parade, Commericials for Coca Cola and Nintendo DS. Tony served as Director/ Choreographer for Surflight Theatre's production of HIGH SCHOOL MUSICAL in New Jersey. He also created new 90 minute versions of the hit shows FOOTLOOSE THE MUSICAL and FAME THE MUSICAL for the Tropicana Resort and Casino in Atlantic City, NJ. In 2006 and 2009, he served as Director/Choreographer for over 200 young actors in BYE BYE BIRDIE and JOSEPH AND THE AMAZING TECHNICOLOR DREAMCOAT, for the Metropolitan Educational Theatre Network, aka MET 2, in Southern California. Other choreography credits include FOOTLOOSE THE MUSICAL at the Trump Plaza Hotel and Casino, CABARET, MACK AND MABEL and THE WHO'S TOMMY for Surflight Theatre. 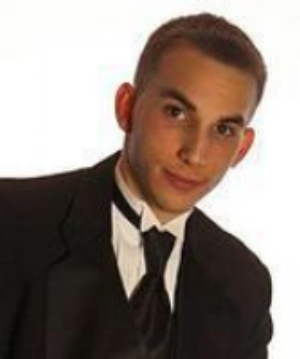 Tony currently serves on the faculties of several fine dance schools in the New York/New Jersey area. He also serves as guest choreographer/teacher for many dance studios across the USA and world, including Mexico City, Canada and Spain. Tony is a professional member of Dance Masters of America, and a certified teacher of The Paula Morgan Technique, an innovative and elite level system of dance training, created by Tony's own teacher, Paula Morgan. Eddie is no stranger to the theatre. After 9years in the Broadway musical WICKED, Eddie join the Arts Lab Compoany as Artistic Director. An award wining actor, he began his career at the age of seven, growing up on Nickelodeon television and in commercials. Eddie has traveled the country in notable Regional Theaters and National Tours such as You're a Good Man Charlie Brown, Man of La Mancha, Hello, Dolly!, and Mary Sunshine in CHICAGO to name a few. A graduate from Webster University with a Bachelor in Fine Arts., Eddie continues his studies in New York City with legendary acting teacher Bill Esper at the William Esper Studios and Improv to The Upright Citizens Brigade (UCB). Currently, Eddie teaches Acting and Vocal Performance to students ages 8 and up at Dream Makers Performing Arts in the Bronx, NY. For BALCO, Eddie serves as Director, Costume and Set Designer as well as head of the Acting Department. Kathy Calahan is a Broadway performer, teacher, choreographer, and songwriter—and is happiest when her skills help to inspire future generations. Last year, Kathy finished a five-year run in Broadway’s Mary Poppins, where she performed as a swing, covering over 10 parts, including Bird Woman, Mrs. Corry, and Miss Lark. She toured nationally in the original production of Ragtime, shared the stage with Tony Curtis in Some Like It Hot, and danced in Randy Skinner’s pre-Broadway production of White Christmas. She has also performed all around the U.S. in regional theatres. Favorite credits include Dolly in Annie Get Your Gun, Josie in George M!, Polly in Crazy For You, and Minnie Fay in Hello, Dolly!. Kathy has been teaching private voice, tap, and theatre dance lessons for several years, with students ranging from absolute beginners to professionals on Broadway. She’s taught at several schools in the New York area, including the American Theatre Dance Workshop, Steps, and Shuffles. She also created her own tap class in NYC that focuses on musicality, technique, and style—all with live accompaniment! Last winter, Kathy choreographed White Christmas at The Phoenix Theatre, and will be returning there to choreograph Mary Poppins later this year. Other choreography credits include Cole!, The Fantasticks, How to Succeed…, The Melody Lingers On, and Broadway’s Easter Bonnet Competition. Passionate about early-childhood education, Kathy created a CD called Brighten Up! that is available on CDbaby. It’s a hit with the 3 year olds! For more information please visit www.kathycalahan.com. Christine Rowan is an actress and choreographer living in New York City. She has a degree from New York University's Atlantic Theater and is a member of The Actors Equity Association. Some credits include: Denver Center for the Performing Arts, Sacramento Music Circus, Alabama Shakespeare Festival, Barter Theatre, Theatre by the Sea, Sierra Repertory Theatre, Seaside Music Theatre, Blumenthal Center, Cumberland County Playhouse, Ryman Auditorium, Downtown Cabaret, Westside Theatre, Don't Tell Mama, The Duplex, Joe's Pub and Le Poisson Rouge.